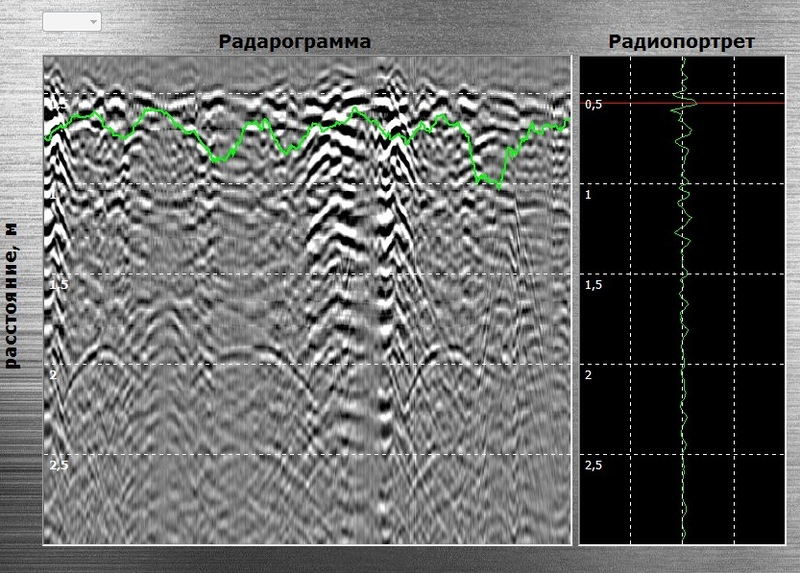 Field tests of the GPR prototype – Ледомер. Георадар. Контрольно-индикационный прибор Пикор-Лед. Официальный сайт ООО "ФПК "ЭСТРА" производителя георадара Пикор. 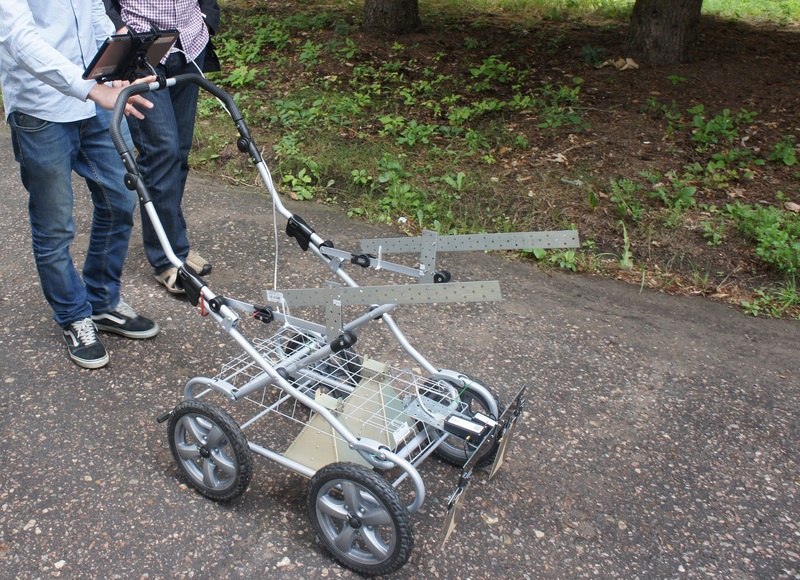 July 20, 2012 at SDB IRE RAS (Fryazino, Russia) joint field tests of GPR prototype "PicoR" were conducted with several types of antennas, which was attended by specialists of the IRE RAS and by the UWB technology department of JSC "KBOR". GPR prototype consisted of a transceiver module "PicoR-1", three pairs of UWB printed antennas antennas Vivaldi-type "Antrad-3", "Antrad-5" and horn antenna "Antrad-6R", the processing and display device based on standard tablet and transport trolleys. The first type of tests conducted on the sand with various objects buried in it. 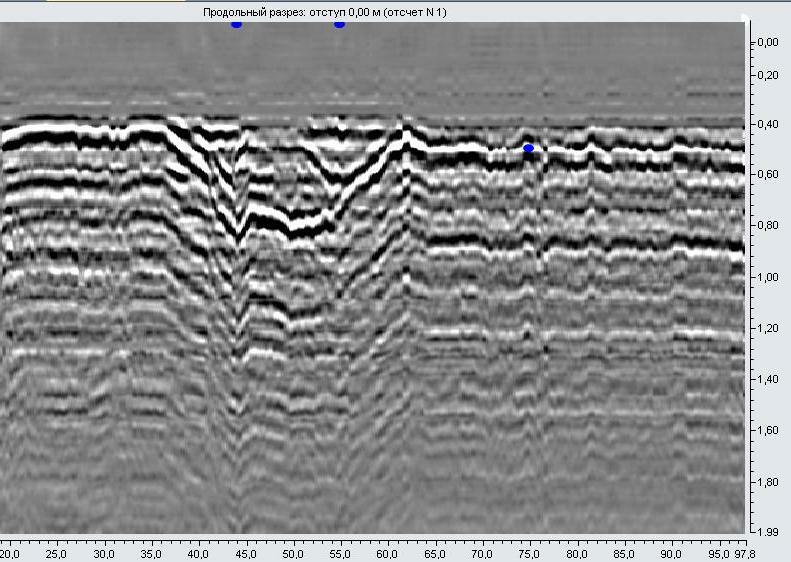 Then the GPR prototype carried out the detection and localization of this objects in motion. In particular, the metal rod in length of 0.4 m buried at a depth of 0.5 m and tincan buried at a depth of 0.4 m were successfully detected with a probability close to 100%. For non-metallic objects, such as blocks of wood and a piece of styrofoam, buried at a depth of 0.3 m, probability of detection was about 70%. The second type of tests was carried out on the asphalt tracks and was to determine the thickness of the coating and its structure. During testing on radargram the coating thickness of approximately 0.5 m was defined, and it was clearly visible place of intersection of two asphalt tracks. However, preventing jamming sources were identified by the speculars signals in the microwave system. 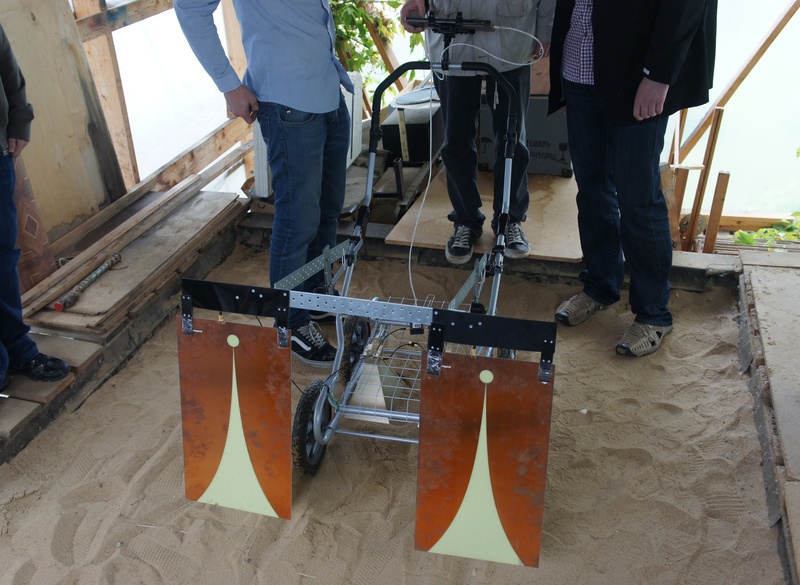 In general, the results of the tests showed that the GPR prototype "PicoR" is working with all types of antennas. We identified areas for further improvement of its performance.